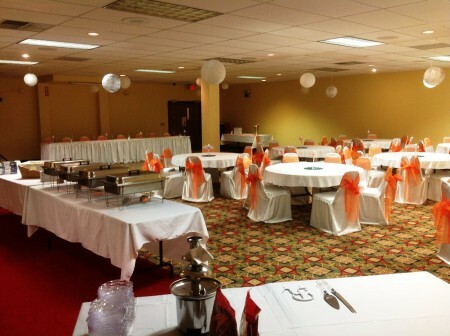 The Manistee Inn & Marina would like to introduce our newly remodeled banquet space for your special event. We can accommodate up to 100 of your closest friends & family in our 2100 sq. ft. banquet room. Come celebrate your child’s graduation, baptism, birthday, wedding, shower or even have your next business meeting with us! 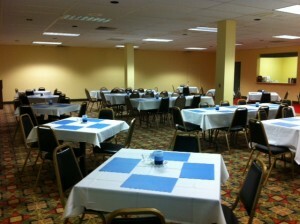 We offer kitchen accomodations, tables, chairs, podiums and much more! Let us handle the details of your event, from specialty linens to decor. We can coordinate a large portion of your event including catering services, flowers, invitations and almost anything else you need. See Wedding Receptions & Social Event PlanningVendors page for information on vendors Manistee Inn & Marina recommends.